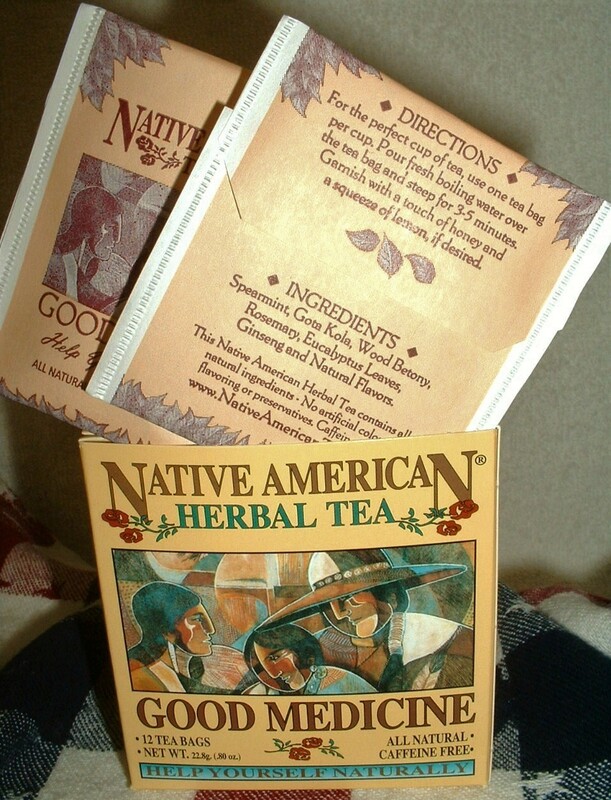 Product Description:In the early years when herbs were essential in performing activities of endurance, Indians made different types of herbal teas. 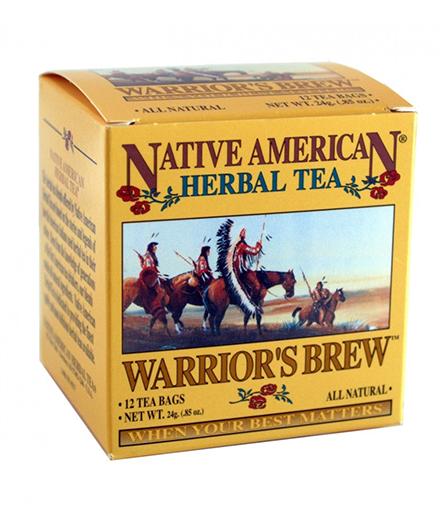 Our Warrior's Brew is a fine blend of many beneficial herbs, including star anise, a small parsley-like plant with serrated leaves. 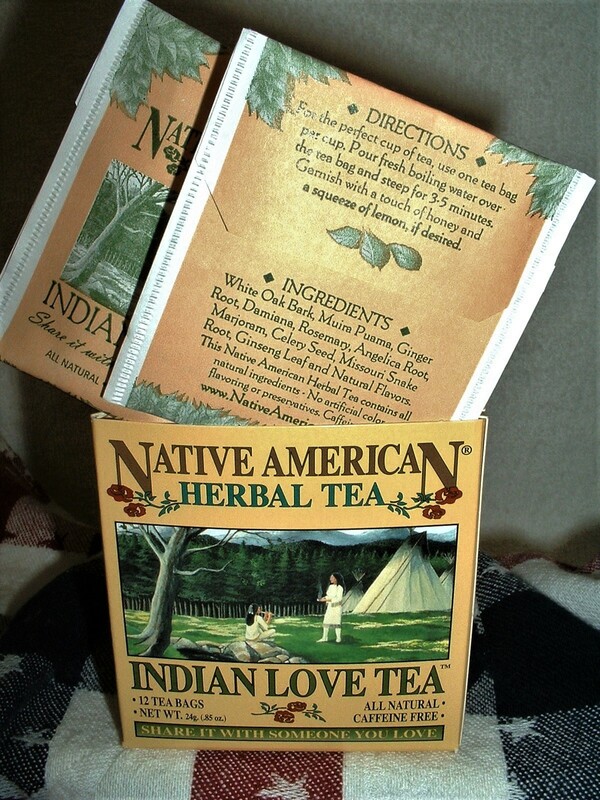 In the early years when herbs were essential in performing activities of endurance, Indians made different types of herbal teas. 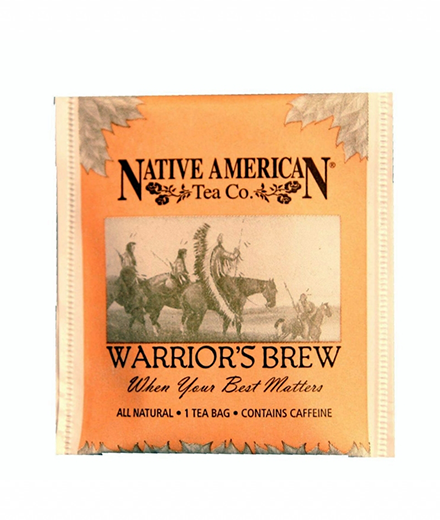 Our Warrior's Brew is a fine blend of many beneficial herbs, including star anise, a small parsley-like plant with serrated leaves. 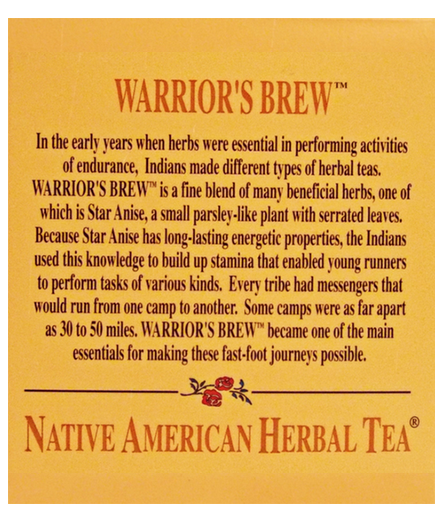 Because star anise has long-lasting energetic properties, the Indians used this knowledge to build up stamina that enabled young runners to perform tasks of various kinds. Every tribe had messengers that would run from one camp to another, and some camps were as far as 30 to 50 miles apart. 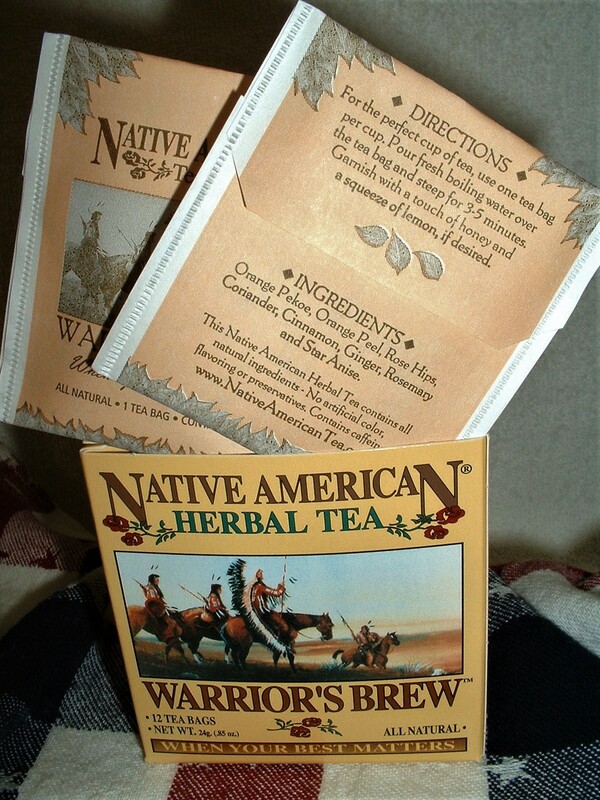 A blend like our Warrior's Brew became one of the essentials for making these fast-foot journeys possible. 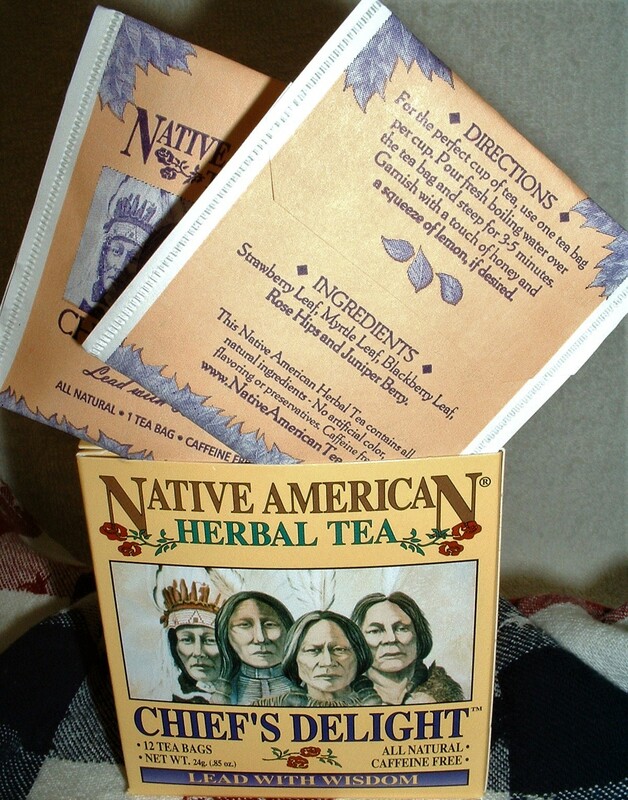 With a zesty cinnamon flavor and a hint of orange peel, this blend contains star anise, rosemary, and many other beneficial ingredients. It is an excellent source of vitamins C & D. Contains caffeine. Naturally gluten free. 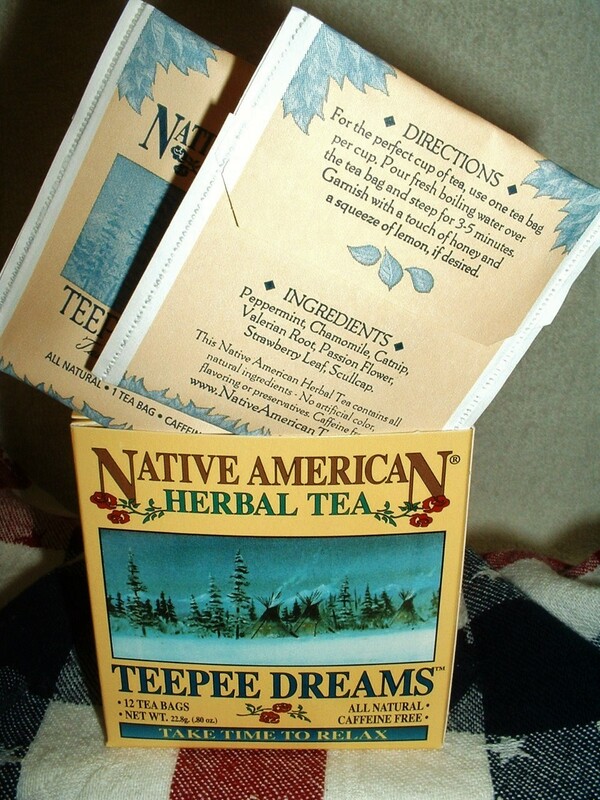 Ingredients: Orange pekoe cut Black Tea, Orange Peel, Rose Hips, Coriander, Cinnamon, Ginger, Rosemary & Star Anise. 100% all natural. Share it with someone you love. 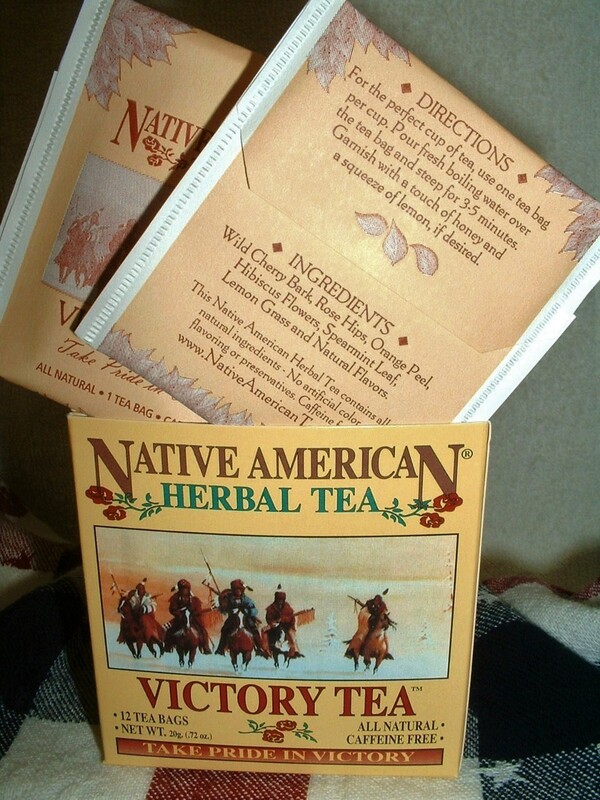 12 tea bags in each box.